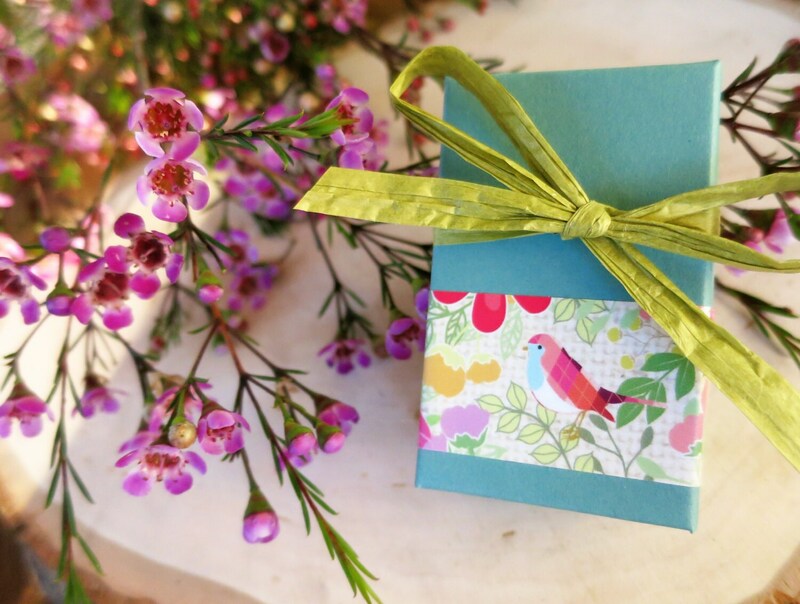 Perfect as a wedding, anniversary, birthday or Hanukkah gift! 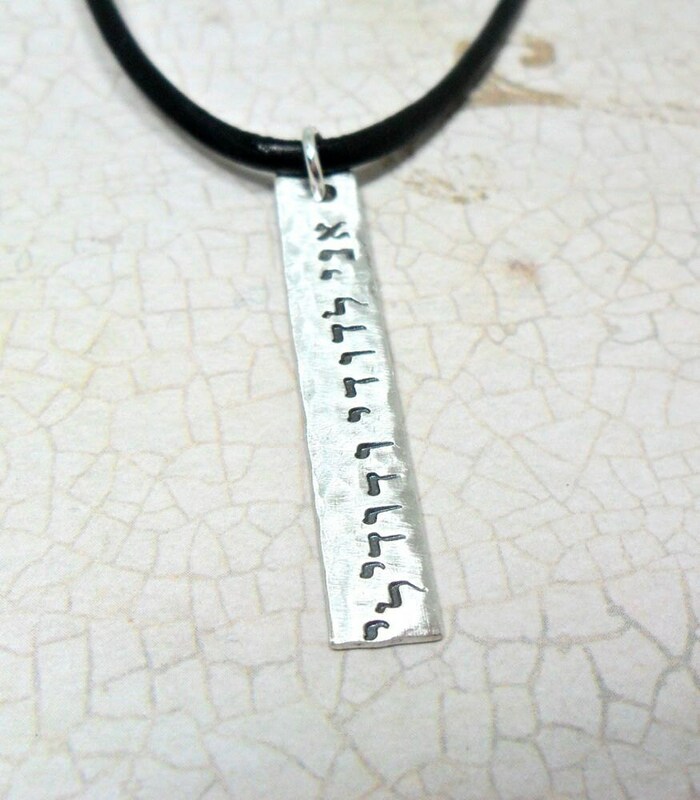 A sterling silver bar, measuring 1.5" long by 0.25" wide, and 18 gauge thick, has been hand stamped with the Hebrew phrase "Ani l'dodi v'dodi li" meaning "I am my beloved's and my beloved is mine." 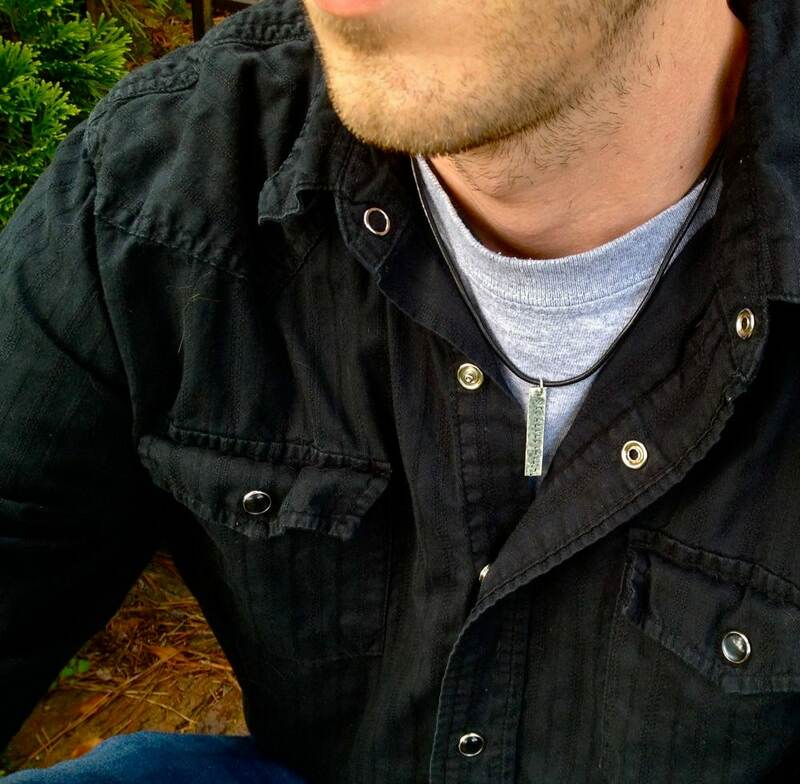 The characters have been oxidized for depth and contrast and the pendant has been hammered then brush finished. 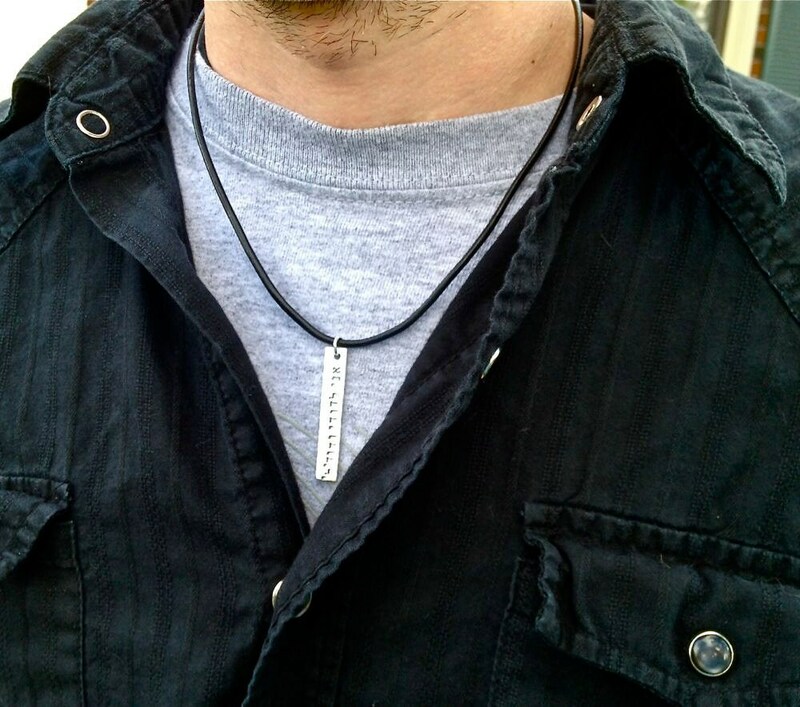 Bar hangs from a 3mm black leather cord with sterling silver clasp. Leather cord will be 18" long unless otherwise specified. 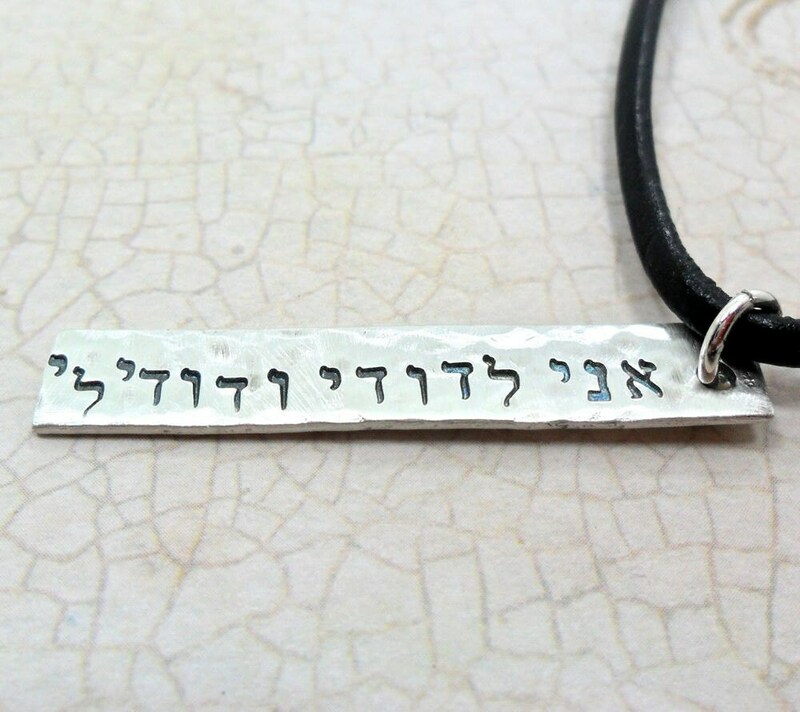 This necklace may be personalized with the text of your choice in my Hebrew or Tiny English font on the backside. Please specify any personalization in the note space provided at purchase.